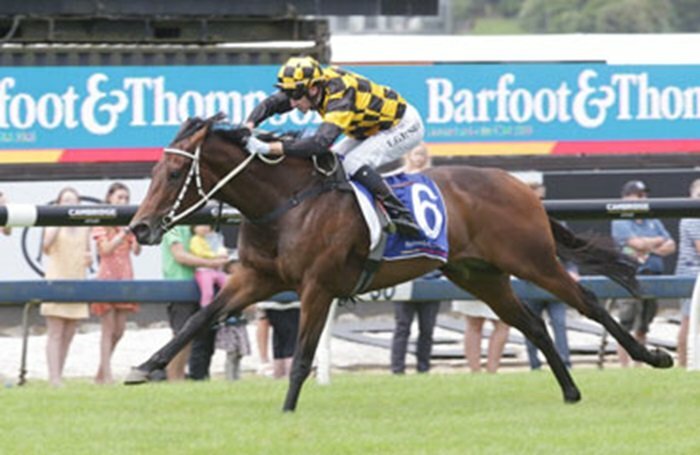 Recent Australian acquisition Pretty To Sea gave her new connections an immediate return on investment when an easy winner at Ellerslie on Boxing Day in the Barfoot & Thompson 1200m. Prepared by Cambridge trainer Stephen Marsh for Cambridge Stud proprietors Brendan and Jo Lindsay, Pretty To Sea had been a narrow runner-up to Luvaluva in the Gr.3 Adrian Knox Stakes (2000m) in autumn for Caulfield trainer Ciaron Maher, but was later sold after her form tapered off. “This is the first horse I have trained for Brendan and Jo Lindsay,” Marsh said. “Henry Plumptre (from Cambridge Stud) rang and asked if I would like to train for them and I nearly fell off my chair, I thought it was a prank. A daughter of Ocean Park, Pretty To Sea was unplaced in two trials leading in to the resuming run at Ellerslie, and Marsh is keen to add further black-type to the four-year-old’s record before she joins the Cambridge Stud broodmare band. “Brendan and Henry bought her in Australia,” Marsh said. “She was stakes placed and had gone off the boil and Henry called and said how about trying to turn her around and getting her right. “They have been very patient with her, she’s had a couple of quiet trials and we brought her up to Ellerslie for a gallop before racing here. “We thought we had her pretty spot on. We were a little bit worried about the heavy10 track, but we were all quite confident. “Leith (Innes) rode her at Ellerslie the other day and it is a plan that has fallen into place and I am really rapt to get a win in these colours. “Cambridge Stud did a great job, they had her looking really good when she came to me and we just kept her mentally happy and sound and she has done the rest.